WE WERE NOT PREPARED TO SEND CHARLES OFF WITHOUT COMPLETING THE FELLOWSHIP WE HAVE STARTED. Charles was scheduled to leave tonight and the proper farewell would be end things where our mission would be. 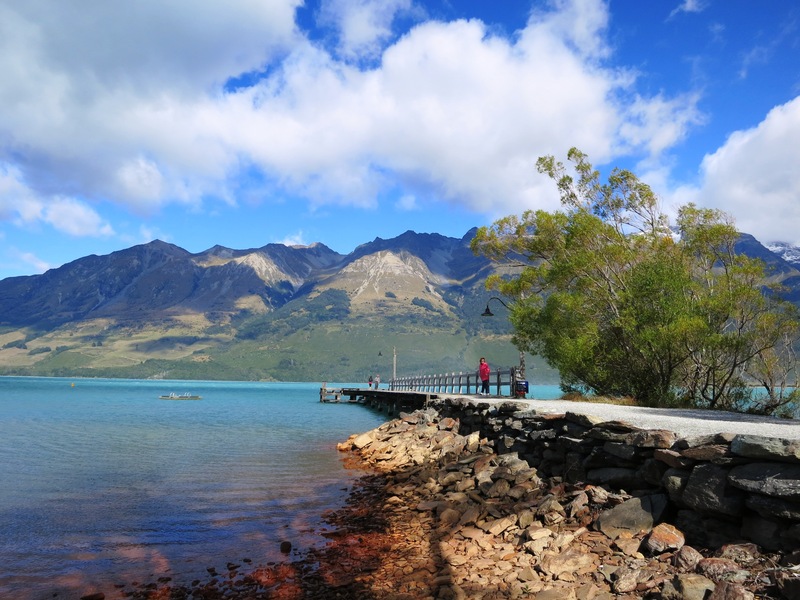 A day trip to Glenorchy is like a journey to Middle Earth. 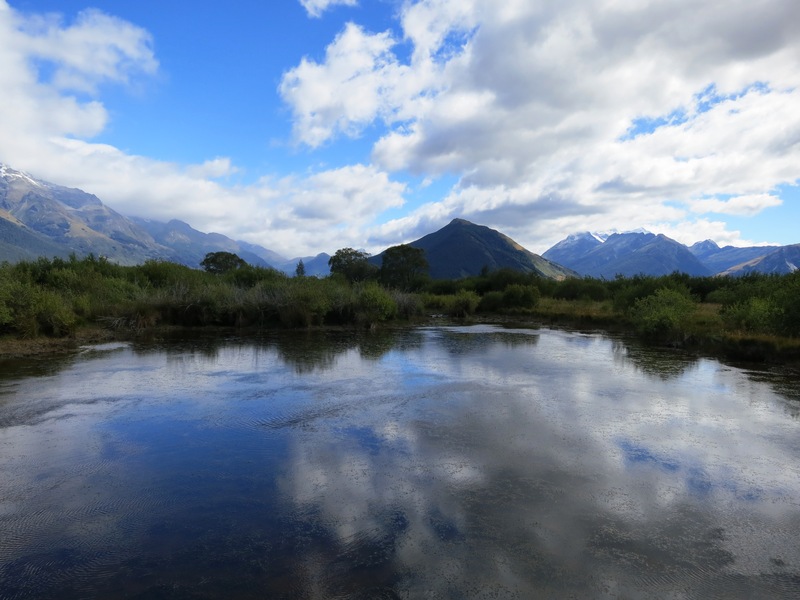 The movies were filmed all around New Zealand, but some quintessential scenes were done here in Glenorchy. 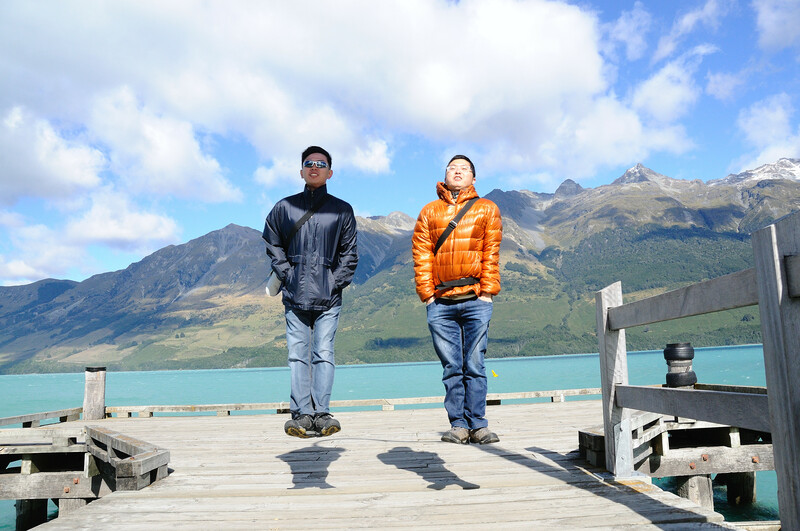 Just a short drive from touristy Queenstown, Glenorchy felt like worlds away. The small postcard-perfect town seems to be long forgotten. 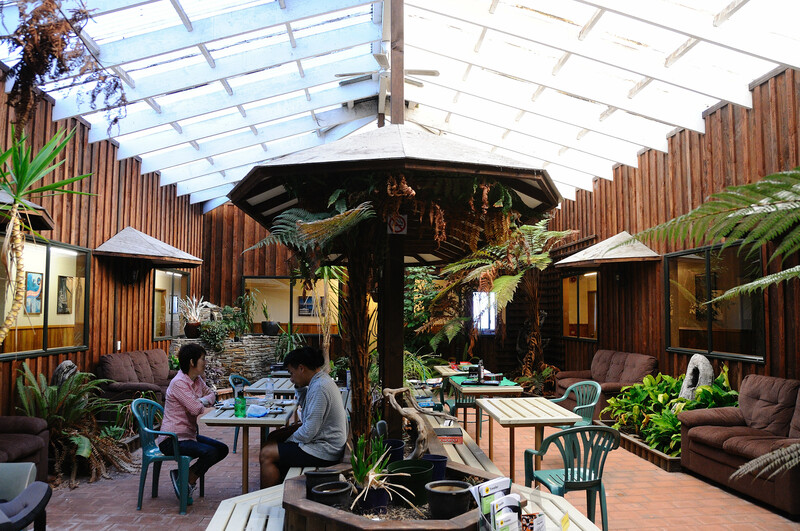 The one street community of 300 is blessed with a beautiful lake and a quaint café. 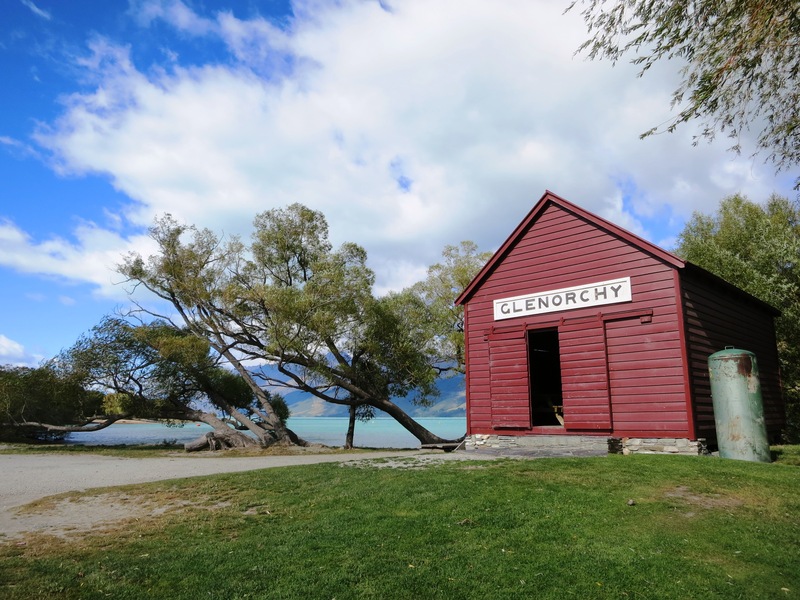 While the streets look deserted, the Glenorchy Cafe is busy with patrons waiting for their own large portions of sandwiches and potato wedges. Its homemade ketchup and lemon mayonnaise complement everything. After a filling lunch, we are ready to explore the 1 1/2 hour hiking loop surrounding the lagoon. 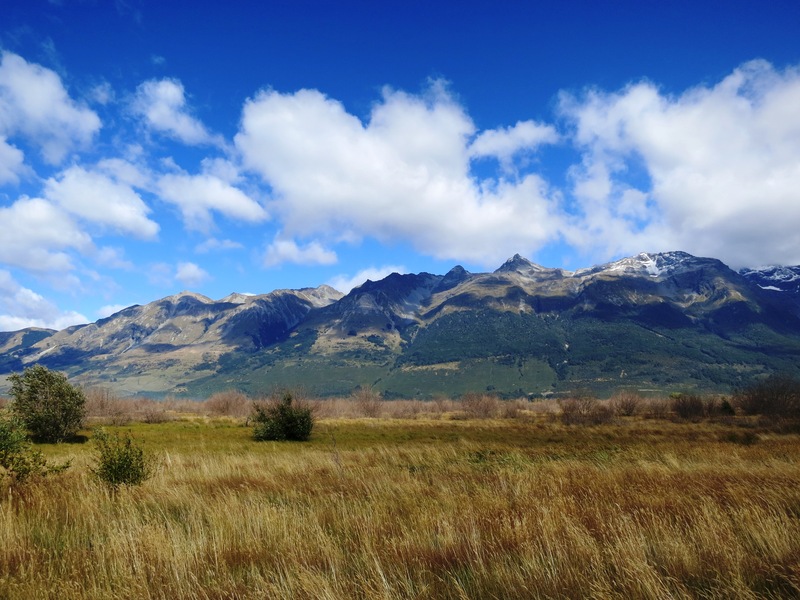 The trail travels through several different micro-climates, ranging from a plateau of grassland to dead-looking marshes, all demanding attention from our resident photographer. JUST LIKE THE TRILOGY, ALL BROTHERHOOD WOULD END TEMPORARILY WITH A COMPLETED MISSION. Charles headed home to his wife and work while me and Eric continued on. Warm sunny skies soon turned to rain and mist. 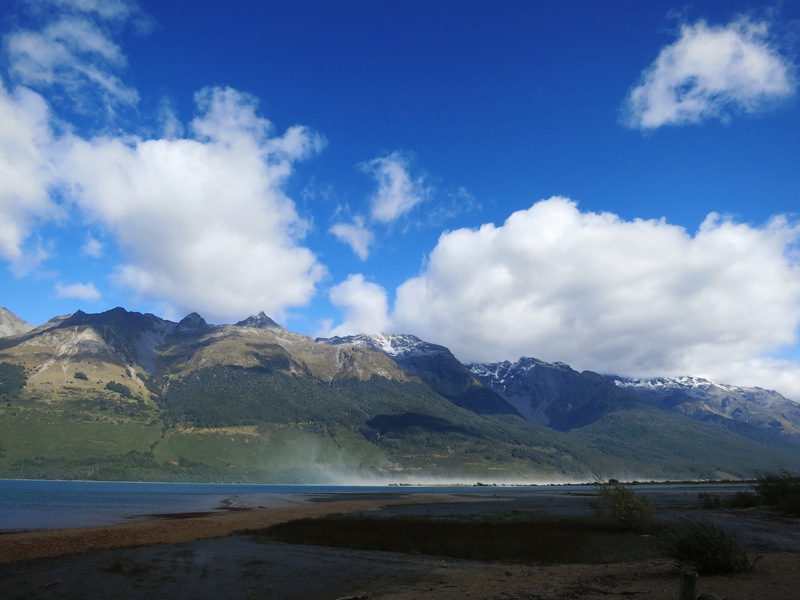 We then drove pass the Haast pass into the rugged West Coast. With one person less, the car was often silent, and the weather indicated our mood. In truth, we were deeply influenced by the weather. 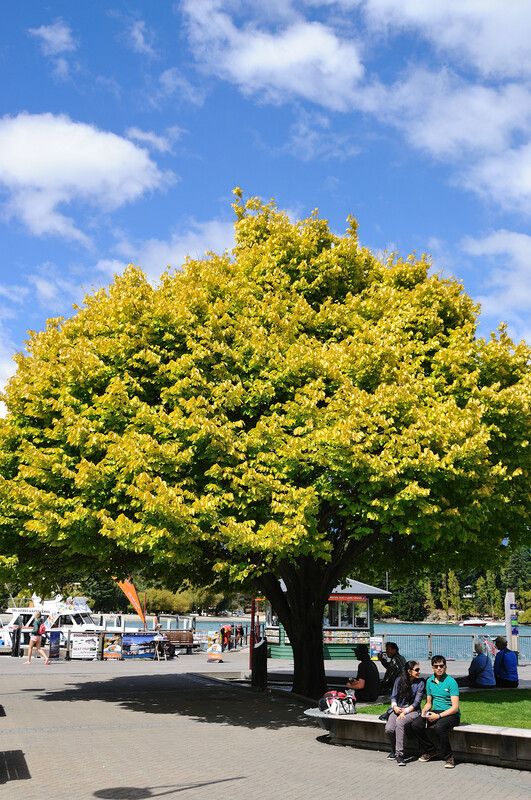 Here in New Zealand, when the skies are bright, life seemed tremendously positive. When it turns cloudy and grey, your spirits dampened and you lose your vision. Our drive was very gloomy. We nearly got trapped due to track closure, and the Thunder Creek Falls was from spectacular due to the rains. Anyhow, we did manage to arrive at the Haast Wilderness Accommodation. Where we were suppose to break our trip to the glaciers. It seemed like a gift from the Maori gods when we noticed that we we’re the only ones sharing the spacious four bed dorm. The wi-fi is free and there is a playroom full of board games (for the bored, excuse the pun). Though difficult, the end of one journey brings forth the beginning of another. Now with our heads held high, Eric and I proudly marched into our beds, in hopes that the duo would be able to conquer what tomorrow brings.